Ovarian cancer has historically had few effective treatment options, particularly for patients with advanced or platinum-resistant disease. Anti-angiogenics and poly(ADP-ribose)polymerase (PARP) inhibitors have demonstrated promising anti-tumor activity and prolonged survival for select patients. Immunotherapies, which have been game changers for cancers with a high mutational load like melanoma and lung cancer, have shown modest effects in ovarian cancer. New treatment options and drug combinations continue to emerge and many are being tested in clinical trials. Duke was involved in several recent clinical trials that were presented at the European Society of Medical Oncology meeting in October 2018. QUADRA: A single-arm, multicenter phase 2 trial evaluating safety and efficacy of niraparib as fourth or later line of therapy. 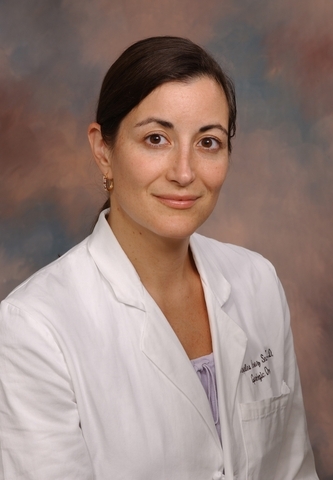 Enrolling 463 patients with platinum-resistant or refractory ovarian cancer—more than 30 of whom were from Duke—the trial had a high response rate in women with BRCA mutations (31 percent overall), including patients with platinum-sensitive (39 percent), resistant (33 percent), and refractory (19 percent) disease. The findings were particularly exciting, says Secord, who coordinated the study at Duke, because the response to chemotherapy beyond fourth line is less than 10 percent, so this study suggests these patients may have a better option. SOLO-1: A randomized, placebo-controlled, phase 3 trial evaluating olaparib monotherapy in patients with BRCA-mutated advanced ovarian cancer following first line platinum-based chemotherapy (451 participants). Olaparib reduced the risk of disease progression or death by 70 percent in patients with newly diagnosed advanced BRCA-mutated ovarian cancer. Of patients administered the PARP inhibitor, 60 percent remained progression-free at three years, compared with 27 percent of those taking placebo. Of note, Secord says, olaparib is the only PARP inhibitor to demonstrate an improvement in progression-free survival as a first-line maintenance treatment for advanced ovarian cancer. CORAIL: An international, randomized, phase 3 study of lurbinectedin versus standard of care drugs in patients with platinum-resistant ovarian cancer (442 participants). 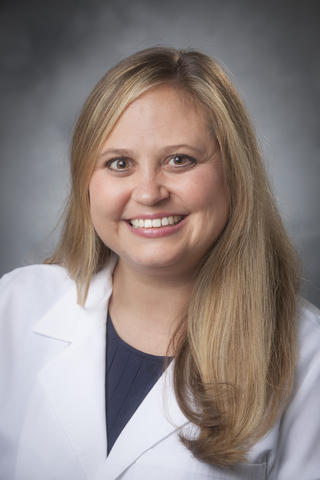 The drug failed to meet the trial’s primary endpoint of improved progression-free survival, according to results presented by Duke adjunct professor Stephanie Gaillard, MD. Still, Gaillard and her co-authors noted, the drug showed activity and had a favorable safety profile, suggesting that lurbectedin may have a place in treating patients with platinum-resistant disease, for whom there are not many options. Duke has many more trials in progress, Previs says, including a large number of phase 1 trials she coordinates for a variety of different patient populations. Secord leads a number of ongoing phase 2 and 3 clinical trials for ovarian cancer, including four immunotherapy trials for frontline therapy. Secord is also involved in a study of pembrolizumab combined with paclitaxel chemotherapy for patients with platinum-resistant ovarian cancer. She and the other investigators hope that the addition of chemotherapy to the immunotherapy regimen will enhance its modest antitumor activity. In addition to their work on clinical trials at Duke, Previs and Secord are both heavily involved in basic science and translational research. Secord is currently leading a pilot study with Gaillard investigating the effect of pembrolizumab on the tumor microenvironment. Characterizing the different biomarker profiles in response to immunotherapies can help clinicians predict outcomes. She is also evaluating tumor- and blood-based biomarkers to predict response in patients treated with anti-angiogenic agents. Previs is also interested in predicting response to therapy, recently receiving the American Association of Obstetricians and Gynecologists Foundation and Gynecologic Oncology Foundation Scholarship Award to research the mechanisms by which patients become resistant to immunotherapy and identify biomarkers.